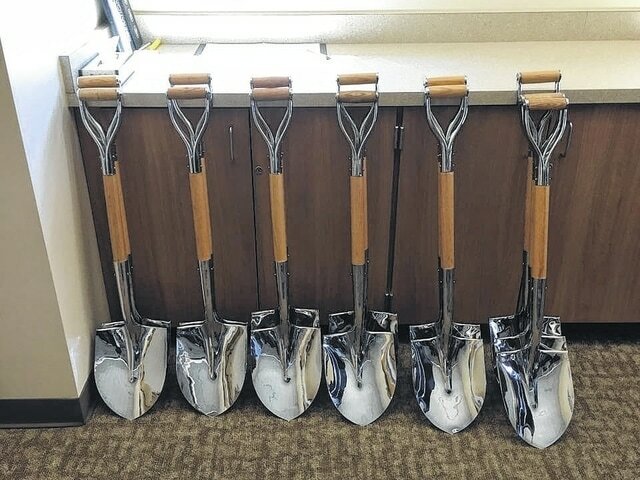 The shovels are all shined up and ready to go for the new Miami Trace High School groundbreaking ceremony. Although the attention of school officials, administrators and staff is fixed firmly on this 2016-17 academic year, it’s also exciting for the Miami Trace community to look to the future – specifically January of 2019. To celebrate the beginning of this process, a special groundbreaking ceremony will be held this Thursday in the football stadium. The entire community is invited to the festivities, which are scheduled to begin at 10 a.m. Parking will be available in the east section of the high school parking lot. Seating will be available on the track for all guests who RSVPd. If the building opens as anticipated in January 2019, current Miami Trace sophomores will graduate at the new high school. A 3.9-mill, 37-year bond issue was passed by the taxpayers at the May 2015 special election, setting in motion the plans to replace the current high school with a new state-of-the-art facility. The new structure will be located on a nearly 60-acre piece of farmland to the east of the football stadium. The new high school is on track to be approximately 160,000 square feet. In comparison, the Miami Trace Elementary School is 141,000 square feet, the middle school is 91,000 square feet, and the current high school (which opened in 1962) is approximately 127,000 square feet. https://www.recordherald.com/wp-content/uploads/sites/27/2016/08/web1_14089285_638000149683532_2907846022376411169_n.jpgThe shovels are all shined up and ready to go for the new Miami Trace High School groundbreaking ceremony.